This Jalapeño Grapefruit Margarita is a fresh and spicy tequila cocktail recipe. Cinco De Mayo which means the 5th of May in spanish is a celebration of Mexican heritage and pride, and a really good reason to drink Margaritas. It’s easy to host a Cinco de Mayo party! Making basic Mexican food like salsa, tacos and burritos is not too complicated, add some decorations and mix up some Margaritas and you’re good to go. 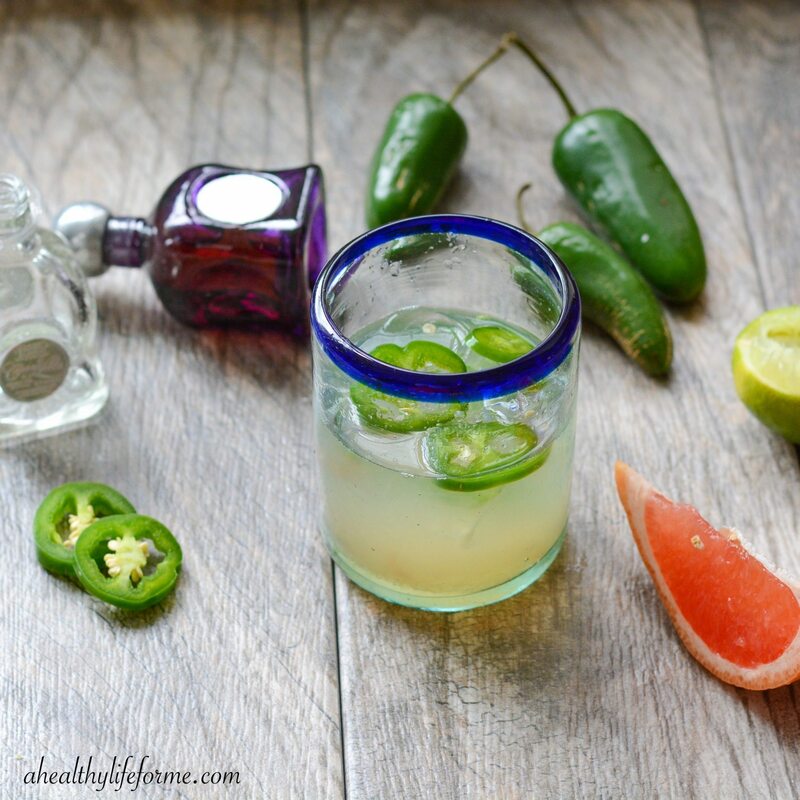 This Jalapeño Grapefruit Margarita is simple to pull together and the heat from the jalapeño adds a fun and spicy twist. I used Casa Noble Tequila Company, one of only three Organic tequila made in the world. I was so pleased with this tequila, it was smooth and tasted as good as any tequila I have tried. Using fresh grapefruit and lime is the key to making this Jalapeño Grapefruit Margarita have a clean and pleasant taste. I am not a fan of the salted rim, but it is always an option. Pour Kosher salt on a small plate and before pouring your beverage, take a lime wedge and rub the rim of your glass. Dip the rim in the salt to coat. Then Continue pouring your cocktail and enjoy! In a small glass add tequila and jalapeño pepper. 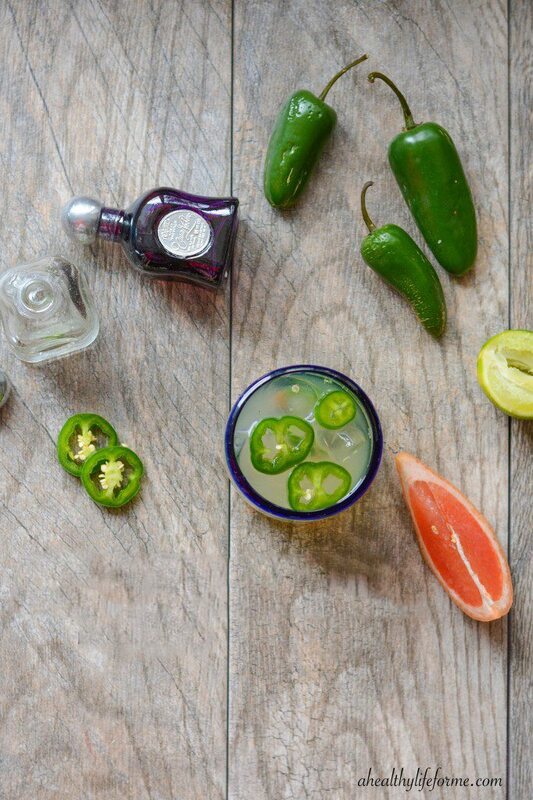 For more intense jalapeño heat, let jalapeño sit in tequila for up to 1 hour before serving. In a glass filled with fresh ice, add simple syrup, grapefruit juice and lime juice. Pour jalapeño tequila over juice and ice. 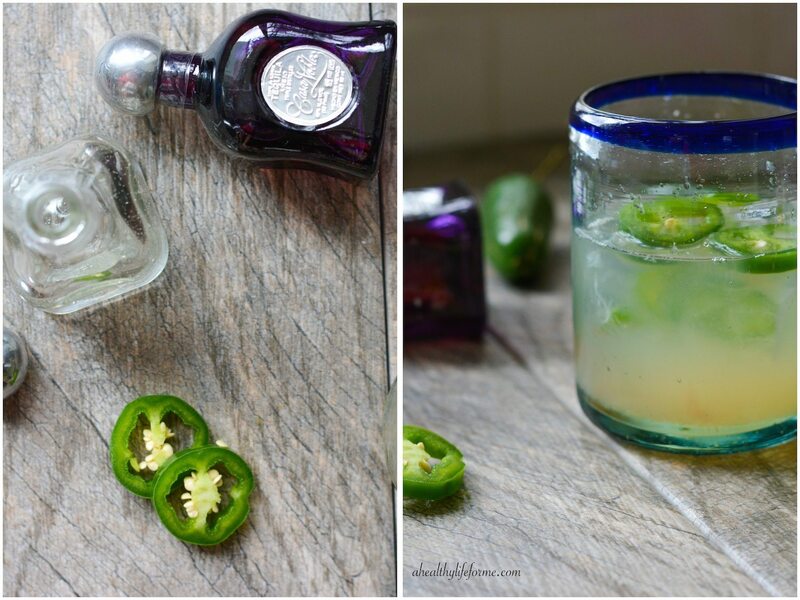 For more intense heat let jalapeño soak in tequila before serving. I let sit 1 hour before serving. Don’t miss my Margarita Round up of 8 more delicious Margaritas. I love when you find spice in unexpected places. 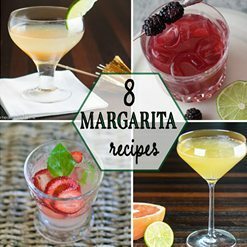 This margarita would be right up my alley!